Users can set one kit as transmitter and another as receiver to make distance test. 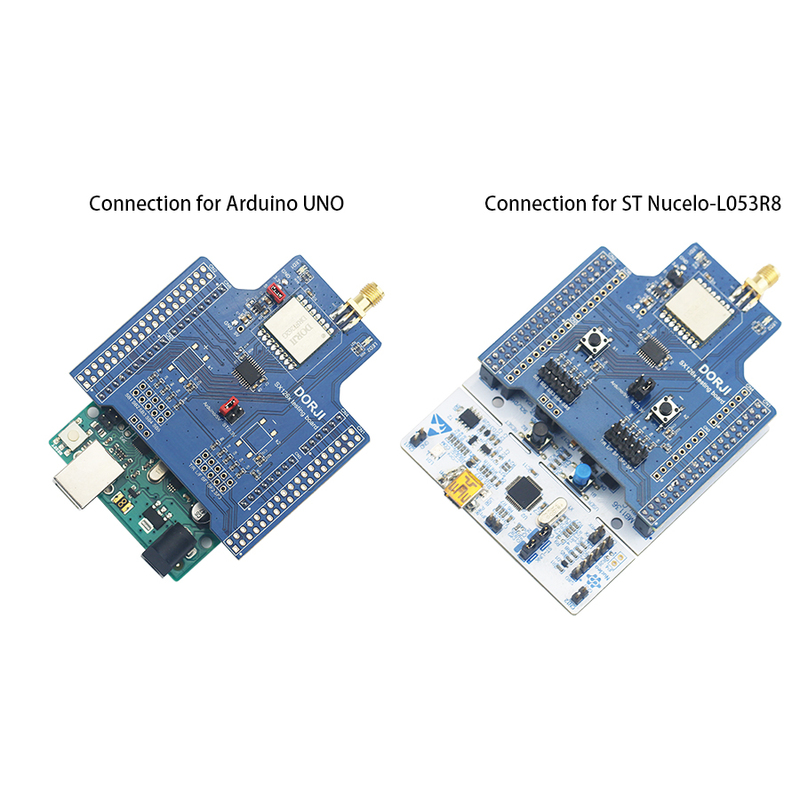 Because of the limited hardware resource of Arduino UNO, the RF-factor and RF-Bandwidth are fixed in the codes so users need to change related codes if wanting to test distance in different RF data rates. DAD06 board is powered by 5V Arduino UNO. The max. working voltage of sx1262 chip can not exceed 3.6V. 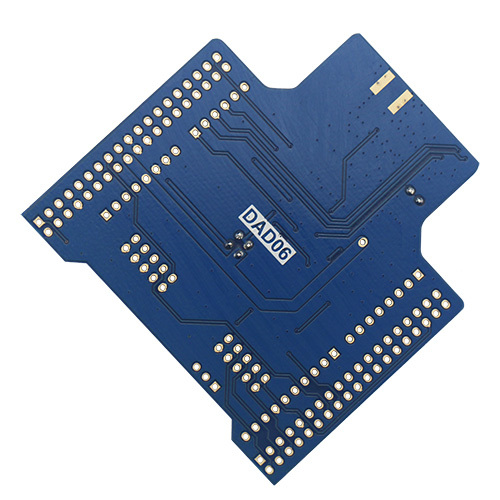 There is a 5V-to-3V level converter on the board so users need to connect the jumper ( silkscreen name: Arduino/5V) and keep another jumper (silkscreen name: ST/3.3V) open in order to get the right logic level connection with the I/O pins of DRF1262G module. The testing board DAD06 provides more functions for testing with ST Nucleo-L053R8. The RF-factor and RF-bandwidth can be changed through related jumpers and the RX/TX also can be switched by the corresponding jumper. Please note that as soon as any jumper status is changed,users need to restart the ST Nucleo board by pressing the reset button on the ST board to make the change come into effect. 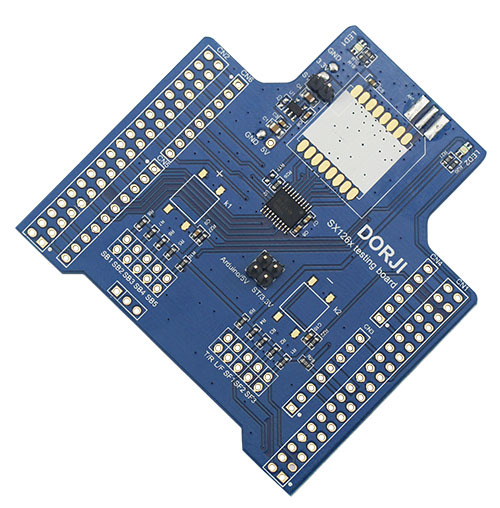 The ST Nucleo board provides 3.3V TTL level so it’s no need to use the 5V-to-3V level converter and Users can connect the ST/3.3V jumper and keep the Arduino/5V jumper open. Please note that the RF-factor and RF-bandwidth jumpers must be set to the same in order to establish successful communication between two DAD06 boards.